Honor the life of a loved one. 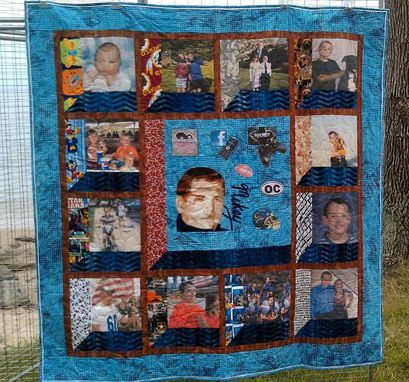 This shadowbox memorial quilt can be customized to include up to 16 pictures. 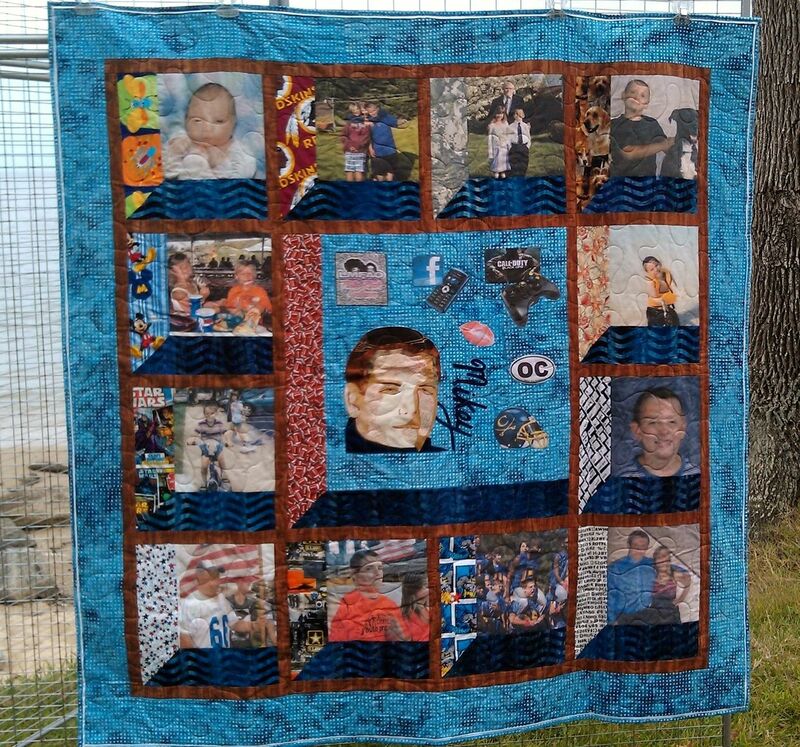 This final size is 60" x 60" which can be used as a large wall hanging or a nap quilt on a sofa.